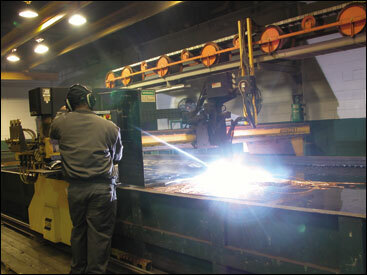 DDA's on-location digital photography captured plasma cutting of stainless steel by Sandmeyer Steel. The light from this process is so bright that it can not be viewed by the unshielded human eye. This image was used in Sandmeyer Steel's corporate brochure that DDA designed in 2003.